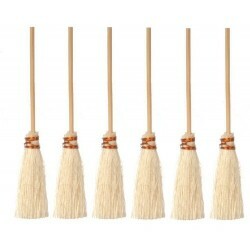 You will love this 2 3/4in Brooms/6 as it complements your other miniature dollhouse furnishings. Now is the time to design a great new look! Adding this Kitchen Reynolds Wraps to your miniature collection is just what you need to make your dollhouse a home, and showcase your fabulous taste. 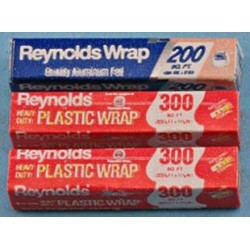 Cute pretend Reynolds Wrap Boxes will be a nice Addition to your Miniature Kitchen Collection. You will love this ICE CREAM FREEZER as it complements your other miniature dollhouse furnishings. Now is the time to design a great new look! 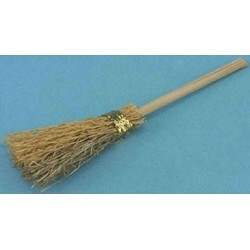 Adding this Broom to your miniature collection is just what you need to make your dollhouse a home, and showcase your fabulous taste. You will love this Box of Trash Bags as it complements your other miniature dollhouse furnishings. Now is the time to design a great new look! Enhance your dollhouse collection with this Box of Sandwich Bags. Added to your other dollhouse miniatures, it is a complement for a variety of styles and tastes. 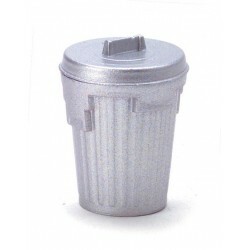 You will love this TRASH CAN/MATT STAINLESS as it complements your other miniature dollhouse furnishings. Now is the time to design a great new look! 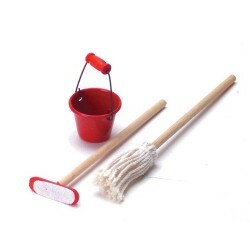 Adding this Cleaning Set/3 to your miniature collection is just what you need to make your dollhouse a home, and showcase your fabulous taste. 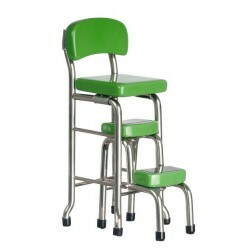 You will love this Kitchen Stool W Step/dk.g as it complements your other miniature dollhouse furnishings. Now is the time to design a great new look! 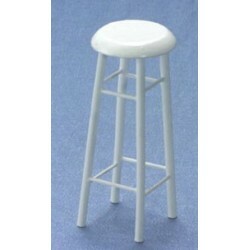 Adding this 3" White Barstool to your miniature collection is just what you need to make your dollhouse a home, and showcase your fabulous taste. 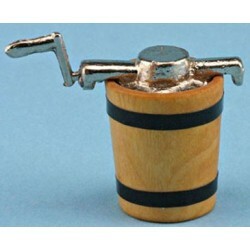 You will love this S/4 Jars/Cork-Cherry Decal as it complements your other miniature dollhouse furnishings. Now is the time to design a great new look! S/4 Jars/Cork-Cherry Decal from our line of Dollhouse Kitchen Furnishings & Fixtures. 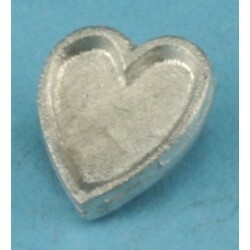 Enhance your dollhouse collection with this Heart Cookie Cutter. Added to your other dollhouse miniatures, it is a complement for a variety of styles and tastes. 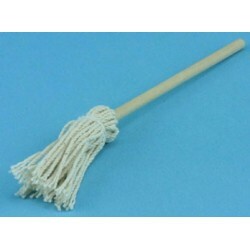 You will love this String Mop as it complements your other miniature dollhouse furnishings. Now is the time to design a great new look! 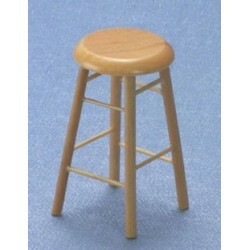 Adding this Oak Bar Stool to your miniature collection is just what you need to make your dollhouse a home, and showcase your fabulous taste. 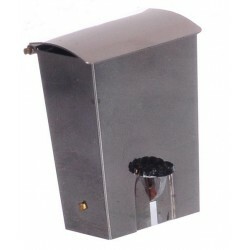 You will love this Match Box Holder as it complements your other miniature dollhouse furnishings. Now is the time to design a great new look! 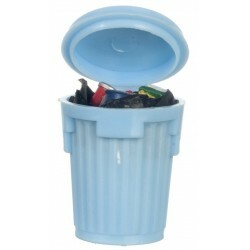 Adding this Blue Garbage Can/filled to your miniature collection is just what you need to make your dollhouse a home, and showcase your fabulous taste. 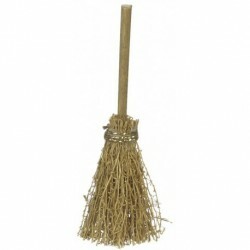 Spruce up your dollhouse with this miniature Broom. 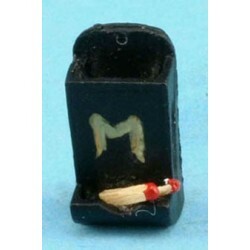 We have many miniature Kitchen Miscellaneouss for that finishing touch.